Choose a package that suits your needs, whether you want more options, or a quick session. In a hurry? 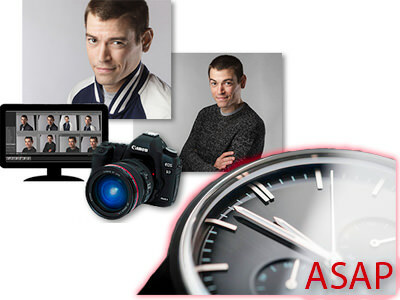 Get a stunning headshot ready by tomorrow with our ASAP option. This session includes more time playing around in the studio, with a range of different looks, and you can download all images in high resolution from your online gallery. 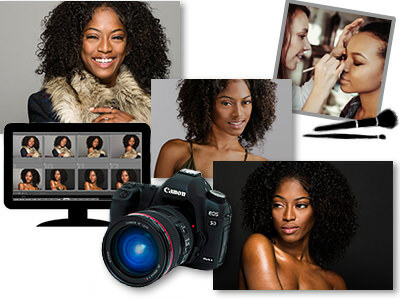 You choose five images to get retouched. It also includes a makeup artist in the studio with you. 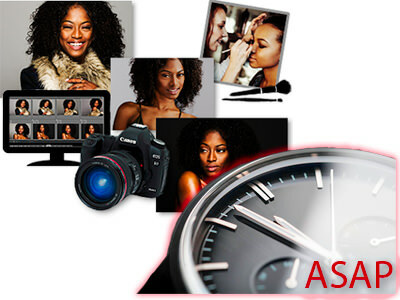 If you need some different looks, and one retouched image in high resolution, this is for you. A little more time in the studio, some variety, and an online gallery (80 images or more) with medium sized files to download. 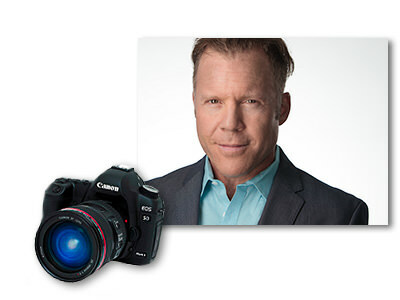 This is the fastest, simplest way to get a high quality headshot. We spend a quick time at the studio, you pick an image right there, and you get that one file sent to you in high resolution. 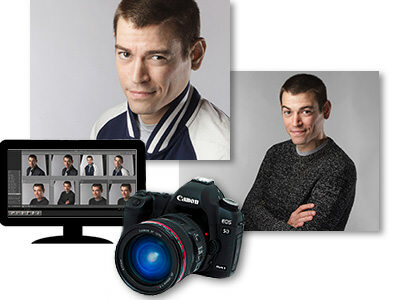 You can also schedule a session for tomorrow or the day after, and have your headshot retouched and delivered in rush mode. 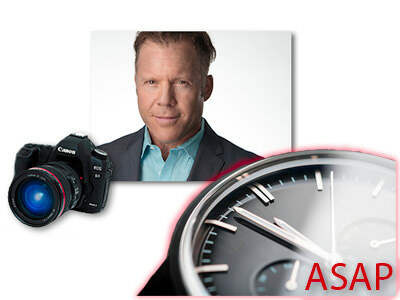 Check out the ASAP option for the package you want! Short and sweet and done by tomorrow (or the day after). Some different looks and options, but done right away. You want everything and you want it now!